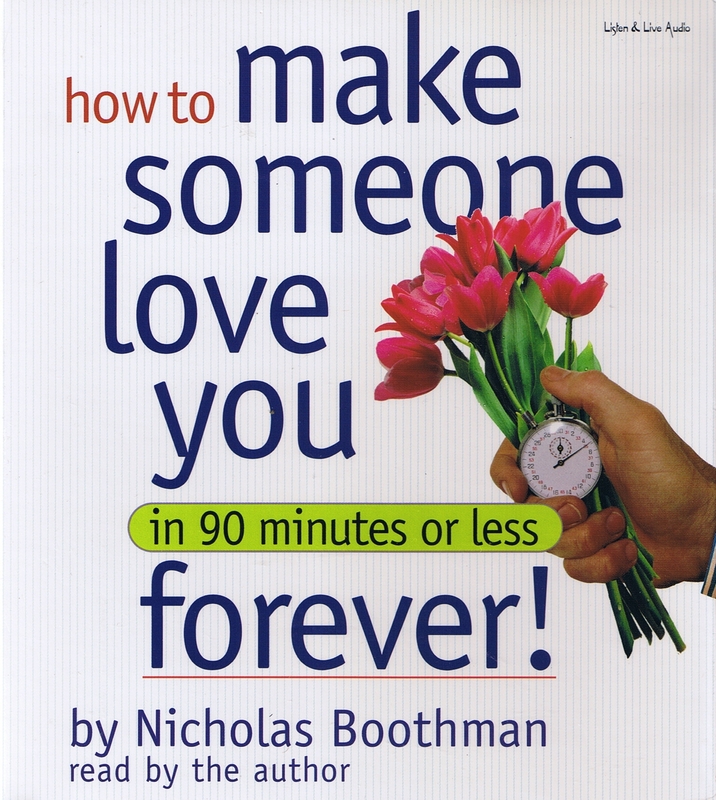 Nicholas Boothman, author of How to Make People Like You in 90 Seconds or Less, brings his innovative system of forging love relationships. It's time to stop leaving love to chance. Time to stop being too shy to meet someone, wondering why a promising first date wound up going nowhere, or realizing too late that it happened with the wrong person anyway. Nicholas Boothman has a much better way. Drawing on his expertise in Neuro-Linguistic Programming (NLP), Boothman charts a three-step plan that will help anyone find the love of his or her life. Step one: get ready--come to know who you are through honest self-assessment, and then to know what type of person is your matched opposite--i.e., the person who completes you. Step two, the heart of the program, is working seriously on interpersonal skills--how to be charming, not alarming; flirt with confidence; synchronize body and voice to create trust and chemistry; keep enthusiasm high; even how to cast a wide social net and dress for a first meeting. Step three is about accelerating the kind of intimacy that leads to love, by finding "Me too!" triggers and mastering the art of incidental touch. You'll learn to tap into key emotions through low, medium, and high-risk disclosures--and how to intensify the nonverbal signals that turn sparks into a flame. All the while you'll establish a solid romantic foundation to convert this magic 90 minutes into a lifetime of love and commitment. "Boothman is Dale Carnegie for a rushed era." "A must-read manual for falling in love!"